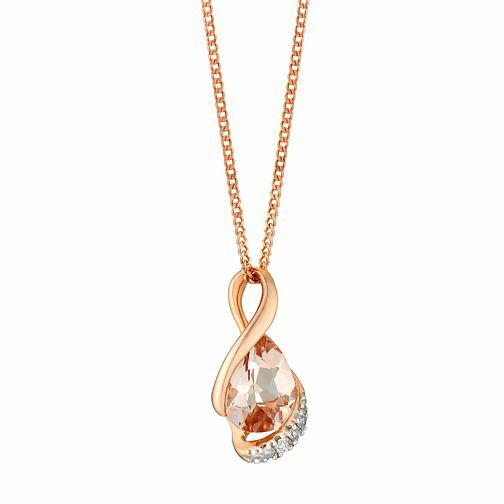 Crafted in contemporary 9ct rose gold and finished with an exquisite Morganite stone, this luxurious pendant is an opulent addition to any formal occasion. Hung from a dainty chain and also featuring diamond set detailing for added sparkle, this stunning pendant makes a beautiful gift for someone special. 9ct rose gold morganite and diamond pendant is rated 4.5 out of 5 by 2.